Many DC fans won't know who Jon Peters is by name, but they will probably know his work, since he produced movies like Caddyshack, Batman and technically Man of Steel. Though, he didn't actually work on that latter movie. He started out, oddly enough, as a hairdresser and eventually wound up as a bit time Hollywood producer. So how successful is he? Well, he was good enough, or at least smart enough, to make about $80 million for doing absolutely nothing on both Superman Returns and Man of Steel. After spending quite a long time away from the limelight, Jon Peters recently granted an interview to The Hollywood Reporter. Just to give an idea of the kind of reputation Jon Peters has, the THR report noted that he had a loaded gun on the table during the interview. 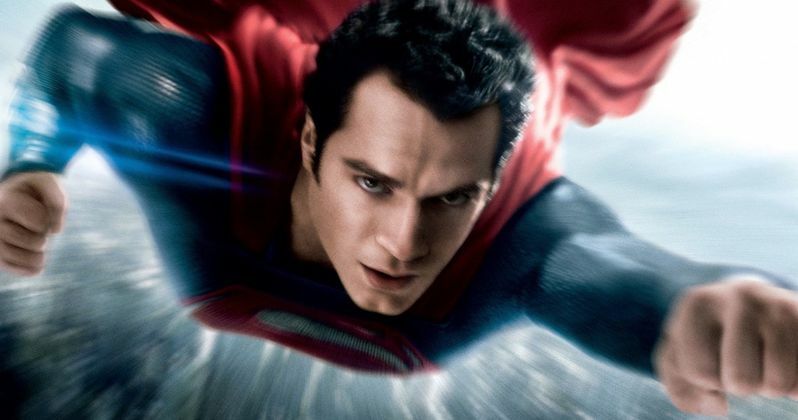 The publication reported a while back that he was paid somewhere between $10 and $15 million for Man of Steel, with some saying it was as much as $50 million. He was asked about it head on and revealed that it was actually quite a bit more than that between the last two Superman movies and by his account, it was between $80 and $85 million. Here is what he had to say about it. "I have 7.5 percent of the gross. Together they did [more than] a billion." Quite a few die hard Superman fans, and maybe some more casual Kevin Smith fans, might already be familiar with Jon Peters and why he made so much money for two movies he had virtually nothing to do with. In fact, he wasn't even allowed on the set of Man of Steel, because producer Christopher Nolan didn't want him there. According to Peters, that's because his "reputation scares these guys." For those who may not know, Jon Peters worked very hard in the 90s to get a movie that is most commonly known as Superman Lives made, which would have starred Nicolas Cage as the famed caped superhero. Kevin Smith regularly talks about his experience writing the initial script for the movie and his bizarre interactions with Jon Peters, who insisted that Superman fight a giant spider in the movie. Kevin Smith worked that into his script, but called the spider a "Thanagarian Snare Beast," which was a reference to the planet Thanagar and Hawkman. Superman Lives got stuck in development for several years with Tim Burton attached to direct. The two worked together on Batman and Batman Returns, so he seemed like the logical choice at the time for Superman Lives. Even though that movie never got made, because Jon Peters spearheaded the project, he still retained that 7.5 percent of the gross that he mentioned, which is why he was able to make so much money from Superman Returns and Man of Steel. The former made just shy of $400 million worldwide and the latter made a pretty impressive $668 million, so there was plenty of profit for Jon Peters to share in. The inner workings of the movie business are quite complex, but it is probably astonishing for anyone to hear that someone could make so much money for doing what boils down to absolutely nothing. Jon Peters is somewhat infamous for his crazy demands and weird way of breaking into the industry. He started as a hairdresser for Barbra Streisand and wound up producing some of her movies like A Star is Born, in addition to being a lover of hers for a period of time. He was apparently so hung up on getting a giant spider into a movie that he eventually worked it into the famous Will Smith flop Wild Wild West, even though it wasn't something that was originally intended to be in the movie. Crazy or not, he has definitely found a way to make a lot of money as a producer. There is no word on if Jon Peters will continue to keep his 7.5 percent moving forward on projects like Man of Steel 2, which would certainly be something Warner Bros. would have to take into account. He talked a bit more about some of the rumors and legend surrounding his failed Superman movie in the documentary The Death of "Superman Lives": What Happened? and refutes some of the claims Kevin Smith made, such as the claim that Jon Peters didn't want Superman to fly in the movie. So those looking for more insight on how weird Jon Peters is and a bit more about the failed Nicolas CageSuperman movie, that is a good place to look. Nic Cage or no Nic Cage, Superman helped to make Jon Peters a very rich man.